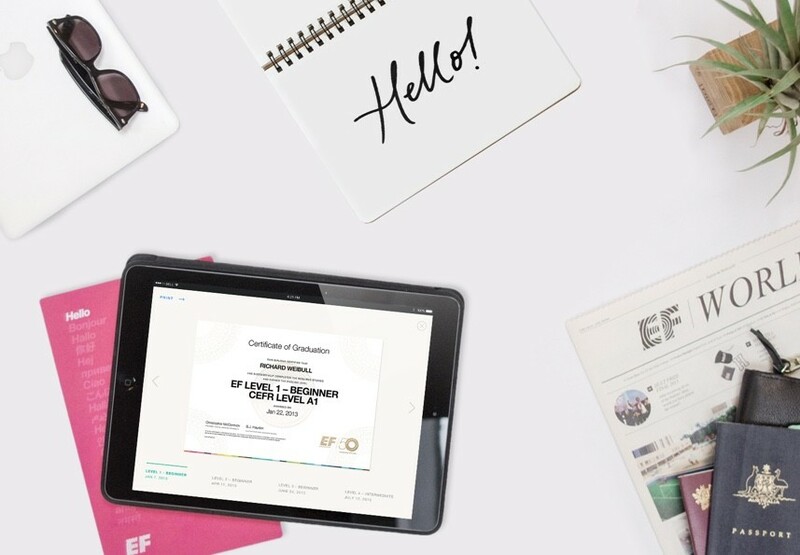 Every time you pass a level within our school, you'll receive a diploma certified by EF to prove your achievements. We'll give you results that count, worldwide. Because English is a global language, we understand the importance of ensuring your language skills meet global standards. That’s why we've aligned the 16 levels of EF English Live with the internationally-recognised standards set by the Common European Framework of Reference (CEFR). Our award-winning online course will teach you the reading, writing, listening and speaking skills needed to advance from the A1 beginner level to C2 mastery level of English fluency. We'll also award you an official certificate for each level you pass, making it easy to demonstrate your English level to universities and employers worldwide. You have little or no previous exposure to English. You can use basic grammatical constructions and have basic situational comprehension. You converse easily about everyday matters but have a limited range of style. You have a strong understanding of most texts and conversation topics. Your grammar is strong too. You are a confident communicator and have full use of functional language. You communicate with nearly the same proficiency as a native speaker. TOEIC® Listening and Reading is combined score. TOEIC® Speaking and Writing scores reported separately. No total score is reported.